Jürgen Klopp believes Liverpool will face a ‘different Everton’ in this afternoon’s Merseyside derby, but is confident his side are ready to bounce back from their midweek disappointment in Paris. The Reds were beaten 2-1 by PSG at the Parc des Princes in the Champions League ahead of today’s meeting with the Blues at Anfield. 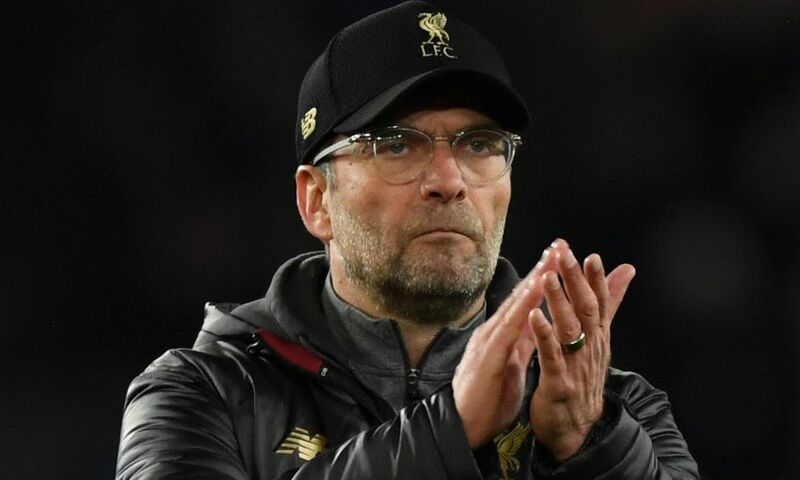 Klopp expects to see a reaction from his team, but knows Everton’s form under the guidance of new boss Marco Silva will make them tough opponents to overcome. He wrote in his column in the official matchday programme: “I was a big admirer of Marco for how he got his teams playing at Hull City and then Watford and he is clearly a brilliantly talented coach and manager. “Andy Robertson from my team speaks extremely highly of him as a person, as well as a tactician and man manager – so it’s no surprise he’s already made Everton supremely competitive. They have recruited really well to an already-strong squad. This all adds up to a very good football side and their performances and results back that up. “I think it’s fair to say a different Everton come to us today and it means that however hard we’ve had to work in previous derby games, we have to increase it for this one. But they also know they come to face a very strong and motivated opponent. “We are hurting after Wednesday because I think there were circumstances in the game that left us ready to play another match immediately on the full-time whistle. Like Everton we have new players from the last time we met and they will be hungry and eager to experience this game and look to demonstrate to our supporters that they understand its significance. Nothing establishes a player better than performing to the highest level in a game such as this. That’s a nice motivator. “I’m not interested even for one second in records or stats from the previous meetings. I’m not interested for one second about expectations or predictions. I’m not interested for one second who is favourite and who isn’t. It’s a derby: two clubs who share a city and are separated by metres. The intense desire to win is something we can guarantee every supporter inside Anfield will have. So for us as ‘the team’ it’s about delivering: go and channel the positive energy of this encounter; take extra juice from it. These games make you run harder, jump higher and give beyond what sometimes you realise yourself is possible. “I trust my players entirely that they understand what is needed from them today. They’ve proved themselves over and over in this respect. We have been outstandingly good in the Premier League so far this campaign, which is why the table looks as it does.